Safety dictates that you begin reading all labels before buying packaged foods. Avoid foods with more than 150 mg of Sodium/serving. Try using sage, thyme, garlic and other tasty spices in cooking...while dropping the "Salt Shaker" in the garbage!! But did you know "Sodium"kills you cells!! Eliminate as much Salt as you can from your diet and you will live to be 100...barring no bad accidents!! Take 400mg of Calcium and 500mg of Magnesium before sleep. All people fall asleep faster stay sleeping longer with a more restful night. These minerals work to relax muscles and nerves. Within 3 nights your sleep can improve to the way you are supposed to rest!! 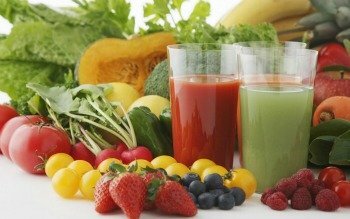 JUICE Recipes-Lose Weight the Healthy Way!!! Aren't just for women or men wanting to lose weight. Juicing is for all of us including children!! 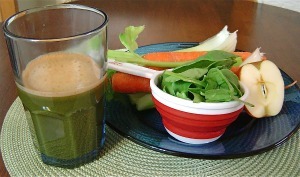 What juicing does for the body is nothing less than miraculous. Because most diseases are cause by free radicals attacking the body. Juicing supplies these free radicals with the elemental oxygen they search and destroy the body for. 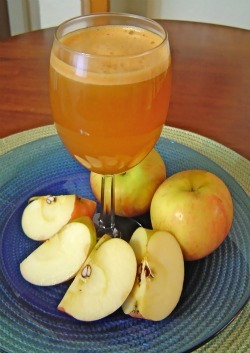 With the right juicer you can prevent or eliminate disease just by making your own juice on a daily basis. If you are suffering from some malady checkout The Gerson Therapy written by Charlotte Gerson. 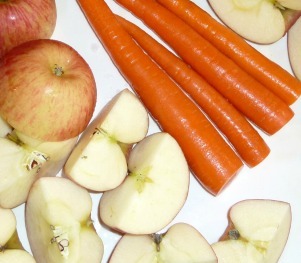 Start by juicing the apples first, next in order: carrots; celery; spinach; broccoli. "use a peeled wedge of Lemon"
Just about every vitamin you can think of you can get mega doses of with one simple 8 ounce glass of fruit and veggie drinks. That's why juice recipes have become so popular. You get all the vitamin C and A you'll need for the day. Take your drink outside and drink it in the sun. Now you have added vitamin D to your vitamin consumption list. Do not wear sunscreen, you won't pick up any rays. Other things like minerals: potassium, magnesium, calcium, phosphorus, zinc and more Flavonoids and a host of other compounds necessary for wonderful health. Now for pure pleasure try just juice!! Summer or winter you'll enjoy the "Spring" feeling of this awesome combination made for parties or just sipping while reading your favorite novel. Juice in this order: Raspberries; strawberries; Mango; lemon. Be sure to peel and pit the mango. Don't forget to peel the lemon, also. Lemon rind makes the juice bitter, so don't use it. Then pour the juice in a blender and drop in the ice and blend.